Psychotherapy is a form of aid and care exercised by physicians or psychologists specialized and trained in this discipline. Psychotherapy is aimed at solving problems through a process that involves changing psychological processes upon which the illness or lifestyle that makes them uncomfortable, and marked often by symptoms and difficulties in many situations (personal, family, couple, work, relationships). For this purpose are used by professional psychotherapist technical and psychological tools, such as the interview and the therapeutic relationship. Counseling is an activity carried out by an experienced professional capable of guidance, support and develop the potential of customer attitudes promoting active, purposeful and stimulating the ability to choose in order to achieve the desired objectives. For more information about how, cost, duration and frequency of psychotherapy sessions, please contact us by phone at (+39) 010.0899602 or writing an e-mail to info@centroliberamente.com. The charges of services and interventions at the Centro LiberaMente are established beforehand and are agreed with the client on first meeting and communicated by means of a quotation. Conventions and incentives are available (see next paragraph). Some services are tax-free (art. 10, n. 18, del D.P.R. 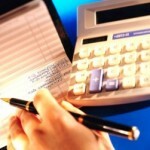 n. 633/72 ) and include tax deductibility for the customer (so-called “health costs”). For more information about cost of our services, please contact us by phone at (+39) 010.0899602 or writing an e-mail to info@centroliberamente.com. The Centro LiberaMente is able to guarantee minimum prices (the so-called “social tariff”) for those who are in a disadvantageous position and have a yearly income inferior to Euro 15.000. Ulterior help is available for the employees of Enti, Administrations, and Companies with a medical agreement. Payments are possible in cash, by ATM and credit cards. 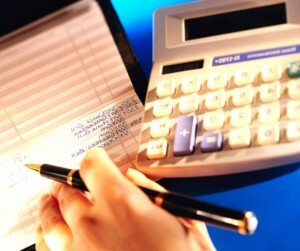 Forms of deferred payment available. Within the Centro LiberaMente each operator is upheld to respect the professional oath of secrecy. The assistants to the technicians, too, plus the administration and office personnel are required to respect the privacy law. The collecting and archiving of data, both the paper work and electronic is disciplined according to the privacy law, subject to the consensus of the client (informed consensus regarding the use of personal information ex art. D.Lgs 196/2003 -Italian law-). The eventual communication or transmission of data to third persons, if considered necessary, takes place only after the client’s written permission has been obtained. The structure of the Centro LiberaMente and its space organisation is such as to guarantee the maximum privacy to its clients. Access to minors under 18 years of age to the services offered by the Centro LiberaMente is only by previous authorization by their parents or guardians, in writing a formal legally approved letter. The activities related to the child are made by parents as holders of parental responsibility, in common agreement, or by guardians. (Article 316 cc: “The child is subject togreater parental responsibility until the age or emancipation. The power is exercised jointly by both parents”). The Centro LiberaMente has the ability to offer online advice (via e-mail, Skype) and by telephone. The service is available, upon contact, on request and do not intend to replace the traditional forms of professional counseling. The online services are also suitable in case of prolonged absence (vacation, school, work) for those who wish to pursue a path already started. The Centro LiberaMente‘s activities ordinarily play Monday through Friday from 8 am to 1 pm and from 2 pm to 8 pm; Saturdays are devoted to seminars, training and groups. However, you can use the “service shift workers” that allows you to access the services of the Centro during the lunch break, on Sunday and in after dinner time. 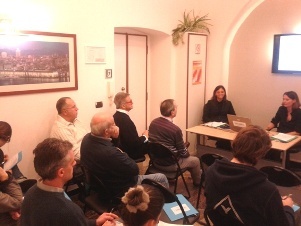 The Centro LiberaMente organizes and offers training events, also on request, through seminars, conferences and workshops. It is also involved in projects in collaboration with other areas. Conducts training and supervision for professionals and businesses; corporate counseling for managers and staff of organizations and companies; research in clinical, psychological, social and educational. 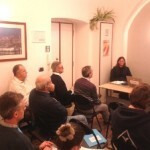 The Centro LiberaMente provides information activities and groups. It promotes and participates in initiatives aimed at promoting the health and psychological well-being, a proper scientific information, the disclosure of local resources through the organization of advocacy groups, in collaboration with other local, conducts research in the clinical, psychological, social, and educational. The Centro LiberaMente allows the access to pets accompanied by their owners. It is a well-established expertise of professionals of the Center in the receiving, together with its clients, their pets. The Centro LiberaMente engages in programs to reduce total emissions into the atmosphere thanks to the technology implemented to ensure a particular attention to energy consumption. The Centro uses appropriate techniques to reduce waste and carefully practice recycling. The products and the supplies used at the Centro LiberaMente have a low environmental impact and, as far as possible, are derived from recyclable materials recovery. It is possible to visit the Centro LiberaMente website by smartphone and tablet. The QR code allows immediate access to the home page of the website. To read it, just frame it with your camera phone after opening the application that enables code reading.